The best way to get a jump-start on starting a new life with your groom is to invest in brand-new bedding. 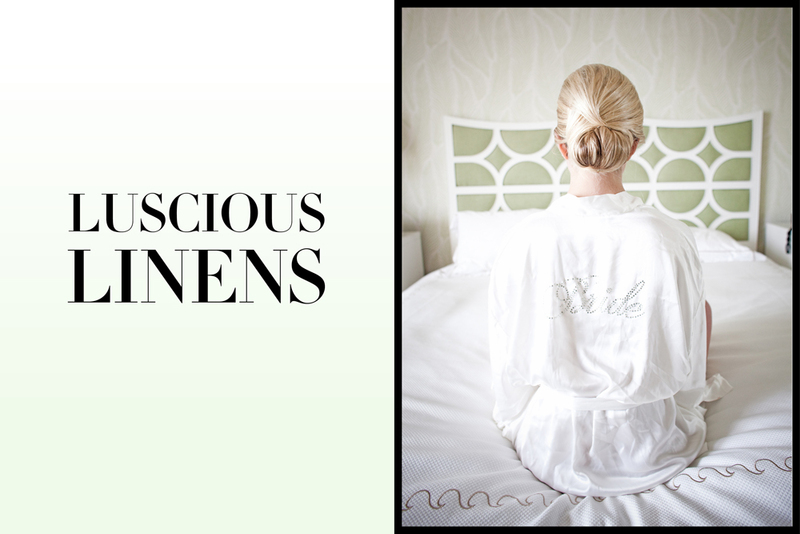 In fact, linens are one of the top-registered items for newlyweds along with kitchen and tableware. With so many options to choose from, it’s best to decide the basics first. Solid or pattern? What color scheme is preferred? Are you willing to mix and match styles? There is no correct answer – it’s important to choose the bedding that will make you both feel the most comfortable together in your new safe haven. 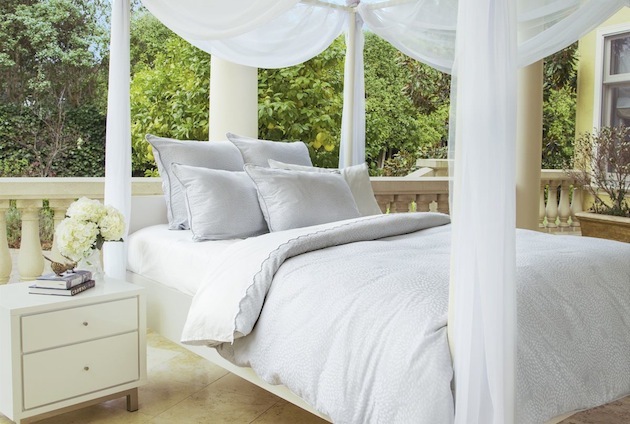 Crane & Canopy offers well-made designer bedding at an innovative price point. 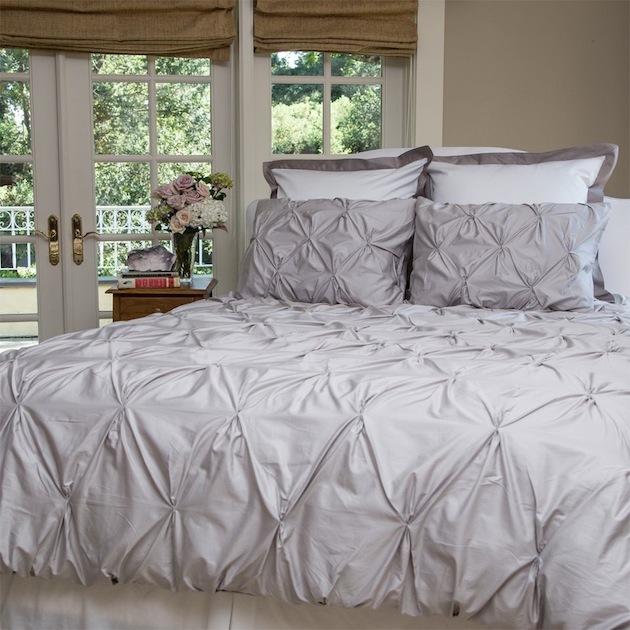 Their materials are woven from the highest-quality, long-staple cotton with weaves ranging from 300-400 thread count. If you aren’t willing to part with your current bedding set, the company also offers an array of items perfect for shower gifts including patterned throws, eye pillows, lavender bundles and sachets, candles, linen sprays, and an assortment of ceramic trinkets. All items are available for purchase at craneandcanopy.com. Pictured here: “Octavia” duvet ($149-169), shams ($35-40/each), and Euro shams ($40/each); Embroidered sheet set in light blue ($159-199). 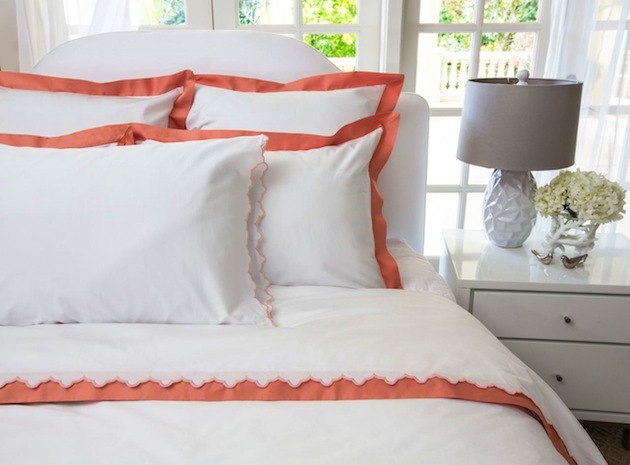 Pictured here: “Linden” duvet ($119-139), standard shams ($30/each), and Euro shams ($35/each) in Coral Border; Embroidered sheet set in Coral, $159-199. 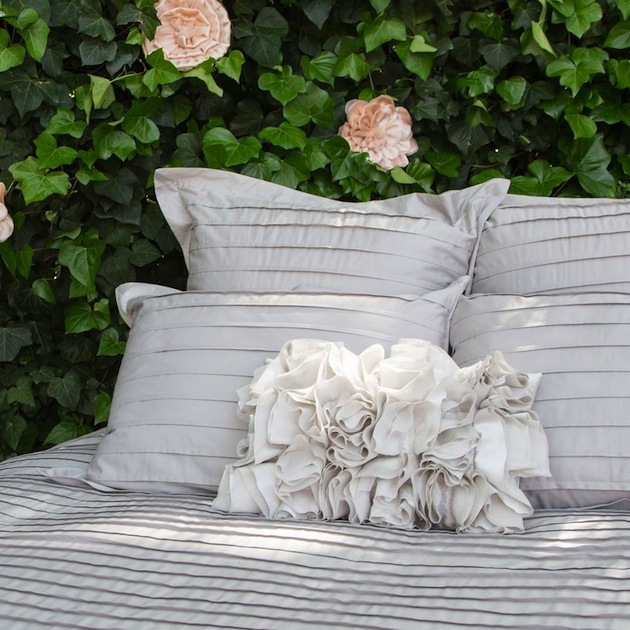 Pictured here: “Balboa” duvet ($149-169) and shams ($35-40/each) in Cream; “Valencia” pin-tucked shams in white, $30-35/each. Pictured here: “Cortland” duvet ($129-149), shams ($30-35/each), and Euro shams ($35/each) in gray; Ruffled pillow in Dove Gray, $29. Pictured here: “Valencia” pin-tucked duvet ($119-139) and pin-tucked shams ($30-35) in Dove Gray; “Linden” Euro sham in Gray Border, $35.